Accept payments as you go with the progress invoicing feature in QuickBooks. Projects take time. Getting paid doesn’t have to. Progress invoicing enables you to bill incrementally and accept payments throughout the course of the job, instead of taking a deposit at the beginning and payment at the end. With progress invoicing, you can split up an estimate into multiple invoices based on project milestones, stages, or the percentage of work complete. The progress invoicing feature in QuickBooks automatically tracks the total amount on the estimate, how much as been paid, and how much is still owed on the contract amount. You no longer need to manually add or subtract from the estimate or invoice. QuickBooks does this automatically for you. Because you are invoicing customers in installments, you no longer have to wait until the end of a project to get paid. Progress billing makes it easy for a small business to invoice customers in installments over the entire time of the project for reliable cash flow. Know where you stand throughout the course of the project. Progress invoicing makes it easy to track payment progress based on your original estimate. QuickBooks automatically tracks what’s been paid and what is outstanding, making it easy to keeps tabs on the progress of a particular job. Avoid surprises by keeping your customers in the loop. Each invoice shows exactly what’s already been paid and the remaining balance. Your clients will always understand the total amount invoiced, what is still owed, and what has been paid on previous invoices. Get real-time alerts when your customers view and pay invoices throughout the course of the project or contract. Once the project is complete, QuickBooks will automatically close out the paid invoices for you. More than just progress invoicing. 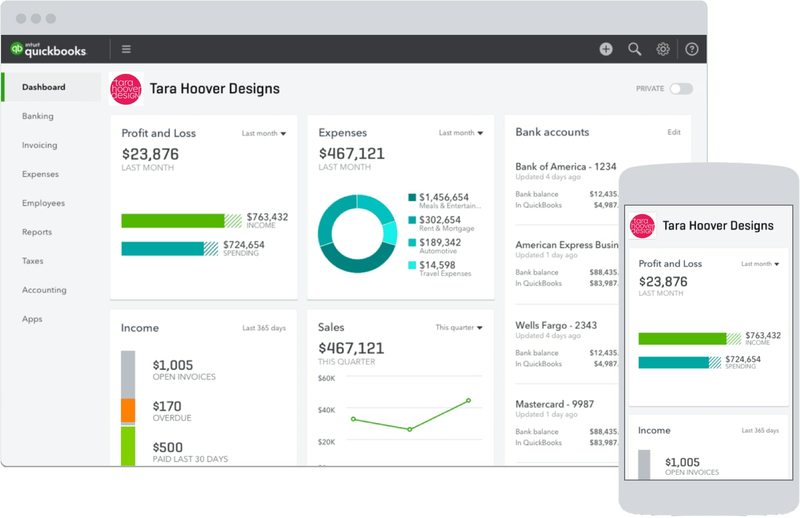 Run your entire business with QuickBooks. QuickBooks makes it easy to create estimates and quotes. You can even create an estimate on your phone and have your client sign it on the spot with the QuickBooks mobile app. Attach photos, add notes, and email a copy directly to your customer for her records. Send invoices that include a ‘Pay Now’ button so your customers can instantly pay via credit card, debit card, or a payment service like Apple Pay or PayPal. QuickBooks processes the payment, transfers the funds to your bank account, and keeps track of the details for you. Need some extra capital for up-front costs on a project? Apply for financing from one of our partners. With QuickBooks Capital, we use the financial data you already track in QuickBooks to help you apply for a small business loan. 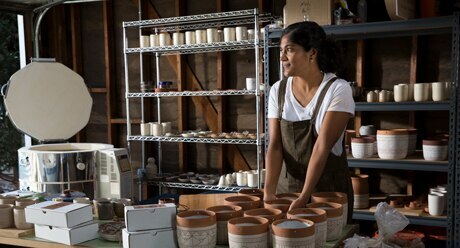 Almost all small business owners know the frustration of an unpaid invoice. Most of the time the invoice will be paid, but you may have to work a little harder to collect. Here are some steps you can take if your client doesn’t pay an invoice on time. Finding a client who hires you to complete a big project over a long timeline is exciting. Unfortunately, many business owners get into trouble when they don’t plan for the project’s expenses and required cash flow. Learn how to use progress billing to successfully complete a large project. Choosing a pricing strategy for your product can be intimidating. You can tackle this task by breaking it down using these five pricing considerations. I do work in stages and need to create invoices as the work gets completed. Can QuickBooks manage partial billing for me? Yes. This is managed with the progress invoicing feature in QuickBooks. Progress invoicing means you bill against an estimate in increments until the job or contract is complete. Progress invoicing enables you to track invoices sent and payments received on a particular contract. How do I turn on progress invoicing in QuickBooks Online? To turn on the progress invoicing feature in QuickBooks Online, go to the gear icon at the top of the screen and choose Account and Settings. From the left menu, choose Sales and then Progress Invoicing. Click on the pencil icon and select the ‘Create multiple partial invoices from a single estimate’ option. Once you click on Save and the Done, you’re all set. You can now choose to create an invoice from an estimate. Can I choose what to include in each incremental invoice? Yes. You have several options. You can choose to copy all line items and quantities from the estimate to the invoice, you can choose to invoice a percentage of the estimate, or you can choose to specify the items and quantities to transfer from the estimate to the invoice. You also have the flexibility to customize the invoice template to include new columns, additional details, your company logo, and more.